Construction company Watpac has been announced as the preferred contractor to build Flagship Property Holdings’ $100 million Kodo apartment development in Adelaide. 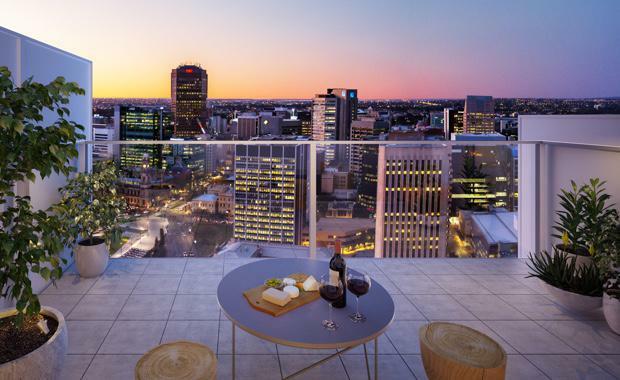 Construction on what will be Adelaide’s tallest residential apartment development is planned to commence mid-year and will create approximately 250 new jobs. Steve Wise, Director of Flagship, said the developer is excited to again partner up with one of the country’s premier construction companies. “To deliver a large residential project like Kodo, we know how important it is to assemble a delivery team in which purchasers can be confident,” said Mr Wise. “In Watpac, we not only have a builder with a great track record for delivering landmark buildings across Australia, but we have a construction partner that we have worked with numerous times before who we know can deliver quality award-winning projects. “Together with Watpac and Woods Bagot, we delivered the Sunday Apartments in Melbourne that won an Australian Interior Design Excellence Award, which is testimony to our combined ability to deliver on a promise. Watpac Managing Director Martin Monro says the Group is delighted with its appointment. “Kodo is going to be an iconic Adelaide building that will bring exciting architectural and lifestyle elements to life offering luxury residences in the heart of the city,” he said. Kodo is located on Angas Street near Victoria Square and the Central Markets, and will incorporate 208 apartments plus ground floor retail and commercial tenancies.